News and Events – Spark! With hard-line conservative Supreme Court Justice Antonin Scalia departed from the bench, President Obama has a rare opportunity – to appoint another liberal Justice to the bench, giving the Court a liberal majority. There are four conservative justices left: Chief Justice John Roberts (appointed by George W. Bush), and Justices Anthony Kennedy (the last Reagan appointee; and at times a centrist rather than a true conservative), Clarence Thomas (appointed by George H.W. Bush), and Samuel Alito, Jr. (appointed by George W. Bush). If the president were to get another liberal justice appointed, that justice would join Ruth Bader Ginsberg and Stephen Breyer (both Clinton appointees), and Sonia Sotomayor and Elena Kagan (both Obama appointees). With five liberal justices, it is not unlikely that moderate Justice Kennedy might steer more toward the conservative side of the bench (being as he has a force of balance between the two sides); but a numerical majority of liberal justices would still be able to push litigation and judicial review significantly to the left of the Court’s recent performance. For the president to get his third appointee on the bench, he has to select and vet a candidate. Then the Senate would subject his candidate to review in what is likely to be a more than thorough screening under the direction of the Senate Judiciary Committee. If the candidate is passed by the committee, the vote goes to the floor of the Senate for final approval. The first problem obviously is that the Republican majority of the Senate gives them the majority in each of the committees, including specifically the Judiciary Committee (which currently has 11 Republicans and 9 Democrats). As recalcitrant as the current rank of Republican Senators has been (and as uncooperative and openly hostile to the president specifically), it is optimistic to presume that the committee would value the president’s right to appoint a justice over their political objective of disenfranchising the left. It is more optimistic to presume the floor of the Senate would be any friendlier to the president. In fact, the Republicans are getting ready simply to block the president’s selection of a new justice for the remainder of his term, keeping at least a balance of equals between the conservative and liberal sides of the bench. Senator Ted Cruz (R-TX), presidential candidate and a member of the Senate’s Judiciary Committee, has been leading the Republicans’ pre-emptive assault on the president’s constitutional prerogative to appoint Supreme Court justices. Leftist petitions have been flooding the internet in the vain hopes of pushing the Republican Senators to reverse course entirely and actually follow the exact kind of popular calls for action that they have studiously ignored since taking the majority in 2015. However, the math, and senatorial procedure, simply allow the Senate to sit on its constitutional prerogative of approving appointees for the remainder of the president’s term. While that seems like bad news, this can also be very good news to Democrats. Current electoral math suggests (not irrevocably, of course) that the Democrats are going to get large masses of new voters to the polls in November, and are going to get the White House on Inauguration Day in 2017. Those large masses of new voters are also going to vote for one third of the Senators. There are some 24 Republican senators, and 10 Democrats, up for re-election in 2016 (serving six-year terms, one third of the Senators are elected every two years; “Class 3” is the current rank up in 2016). With 54 Republicans, 44 Democrats, and two Democratic-allied independents currently sitting in the Senate, to get a bare majority in the Senate in 2017 the Democrats need to re-elect all ten of their current “Class 3” senators, plus five more to take over Republican seats. To beat the filibuster threshold (60 senators from the same caucus), the Democrats would need to take 14 seats from the 24 Republican senators up for re-election. Incidentally, should Senator Sanders (I-VT) win the general election, the Democrats would need to fill that seat as well through another election; Senator Sanders is not up for re-election in 2016, so if he loses the nomination he gets to stay in the Senate for now. Also, should some Democratic senators lose their seats, the Democrats would obviously need to unseat even larger numbers of Republican senators elsewhere. Either way, the Democrats need five more seats in the Senate to gain a bare majority, and 14 more seats to beat the filibuster threshold. If the Democrats do, indeed, push many new voters to the polls and beat the Republicans in doing so, they will also have the opportunity not just to keep their current senators, but also to unseat some of the 24 Republican senators up for re-election, and to gain a majority (possibly, but unlikely to include beating the filibuster threshold). With a majority, the new Senate Majority Leader (perhaps Harry Reid, who held the post from 2007-15) would put together a new Judiciary Committee with a Democratic majority. Under a new Democratic White House backed by a Democratic majority in the Senate, the President could appoint a far more liberal Justice than President Obama would ever be able to get through the current Senate, pushing the Court even further to the left. As so many of the Republican strategies in recent years have backfired disastrously for the GOP, Cruz’s pre-emptive attack may also be the harbinger of a greater, more progressive America to come. A more progressive Supreme Court could overturn its own recent Citizens United ruling, could reverse Scalia’s opinion on gun rights not being seated upon militia responsibilities, could find ways to restore some of the recently disemboweled Voting Rights Act, and could back ever more progressive legislation and presidential policy. Senator Cruz’s pre-emptive attack could, under certain not yet guaranteed conditions, prove to be the greatest thing Democrats could hope for, and could show the Republicans why some things are best not wished for, let alone sought. Headline image from The Atlantic, “A Closer Look at Confirmed Federal Judges,” (August 12, 2001), via Google Search. This week, in accordance with plans announced last year, the United States Army is deploying roughly 1,300 personnel from the 101st Airborne Division (Air Assault) to Iraq, in what is characterized as a regular rotation. The division headquarters is replacing the division headquarters of the 82nd Airborne Division as the command component of a DMCU (Division Multi-Component Unit). The DMCU is a joint coalition force responsible in part for training and supporting Iraqi military and security personnel, as part of the Operation Inherent Resolve mission to combat ISIS. The 101st Airborne’s headquarters elements will include about 65 personnel from the Wisconsin National Guard. The division headquarters has been home-deployed since February 2015, when it returned from a five-month deployment to Liberia as part of the relief effort to stop the spread of the Ebola virus. In addition to the headquarters rotation, the division’s 2nd “Strike” Brigade will be replacing the 10th Mountain Division’s 1st Brigade as that formation returns to its home base in Ft. Drum, New York. The combat elements of the 2nd Brigade trained recently at the Joint Readiness Training Center in Fort Polk, Louisiana. Major General Gary J. Volesky, commander of the 101st Airborne, expressed great confidence in the brigade’s ability to perform its mission. The troop rotation is ultimately going to leave approximately the same US troop strength in Iraq (currently around 3,000) as before. Meanwhile, on January 12, two USN patrol boats with ten sailors aboard (nine men and one woman) were detained by naval elements of the Iranian Revolutionary Guards (IRGN) for “snooping around” (the Iranian accusation), or for “mechanical issues… leading to both boats inadvertently drifting into Iranian waters” (the American response, paraphrased from the Reuters feed on the incident). The Iranian government assured the US State Department that the Americans would be returned to US custody very shortly. 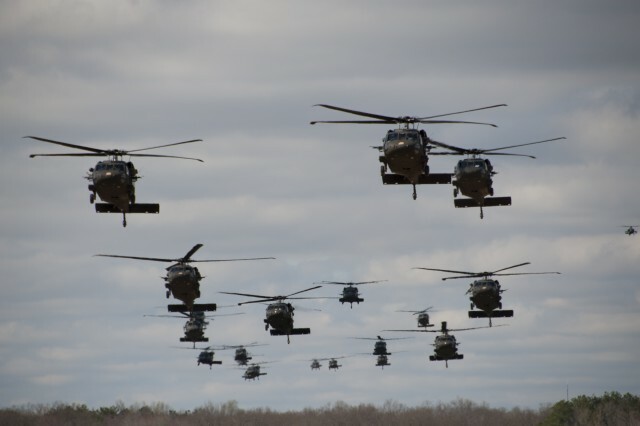 Headline image of 101st Airborne helicopters via Google Image Search. Image of USN riverine patrol boat released by Reuters, courtesy of the US Navy. 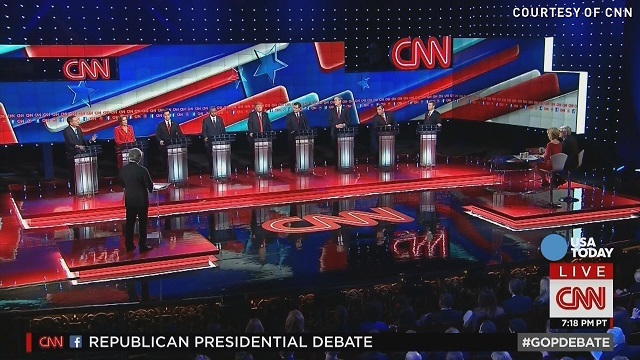 On Tuesday, December 15, 2015, the nine leading presidential candidates of the Republican party met in Las Vegas to debate on stage, moderated by Wolf Blitzer, with the help of conservative Hugh Hewitt and CNN’s own Dana Bash. The party’s final debate of the year was a simplified “Fear and Anger” debate, ignoring the vast array of substantive issues, and allowing Republican bloviators to puff themselves up on questions about national security. The candidates (Rand Paul, Carli Fiorina, Chris Christie, John Kasich, Ted Cruz, Marco Rubio, Ben Carson, Jeb Bush, and Donald Trump) argued that they possessed some key to defending the US; but their notions on national security were amateurish, uninformed, and outdated. If any of these candidates gain power over Washington, their government will escalate crises, strengthen current enemies like ISIS and Al Qaeda, and provoke potential partners like Russia, China, and Iran; possibly even into open warfare. With Trump’s remarks on Muslims up for discussion, Bush criticized Trump and called for concerted action with the Arab states against ISIS. Bush argued that Trump’s rhetoric pushed potential Arab allies away, into the arms of extremists, and that Trump was a “chaos candidate, and would be a chaos president.” Rubio and Cruz both posed as moderate bigots, attacking both Trump for going too far, and President Obama for not going far enough (for promoting the admission of Syrian refugees). Christie repeated his tired claim that serving as a federal prosecutor gave him unique executive experience and proved his ability to tackle all imaginable problems (a claim he would reiterate continuously throughout the debate). Finally, Kasich agreed with Paul that the US needs to work with European and Arab partners against ISIS; and then he actually criticized Obama’s administration for also managing to attend to other issues besides the war with ISIS, such as the Paris conference on climate change. The conversation then moved to electronic surveillance and other matters, with Cruz and Rubio feuding over the USA Freedom Act. Cruz had supported the measure, claiming that it increased the National Security Agency’s overall surveillance capability (while limiting the ability to spy on American citizens). Rubio, who also argued for increased government intrusion (saying our security services need “more tools, not less tools”) argued that the law diminished security capabilities. Paul, not surprisingly, argued his anti-federalist line that the NSA’s bulk collection of metadata makes us less safe, and is also ineffective in preventing domestic terror situations like the San Bernardino attack. Carson continued his argument that the government needs to monitor places deemed “anti-American,” that the US needs a formal declaration of war, and that our society can no longer afford political correctness. Bush waxed vaguely on “leadership” (his own campaign’s centerpiece theme), and talked about an American “military second to none” as if the US did not already possess by far the most well-trained and overwhelmingly equipped force in the world. Fiorina completed this conversation by calling on the federal government to monitor social media sites for potential terror indicators. Cruz, Rubio, Carson, and Fiorina therefore all push for a much larger and more intrusive federal government as a key to national security; while Bush hopes mostly for an expanded military budget. Paul remained “the only fiscal conservative on the stage,” as he later noted in his final remarks. As the conversation turned to ISIS, Cruz showed that he does not understand basic military terminology, confusing “carpet bombing” with surgical strikes (which he called for in response to moderators’ questioning about his calls for the former). He does, however, argue more effectively for a need to work cohesively with the Kurds to build a successful state structure in the region. Rubio wants an expanded US Air Force and air campaign, while working with some hypothetical (and unidentified) “Sunni ground force” as our “boots on the ground.” He at least claims to understand (unlike many of his party comrades) that information and propaganda (and psychological warfare) are key to a political war with terror groups. Trump, unable to form any cohesive thoughts on national defense or security strategy, merely calls on the US to begin targeting families and civilians in terrorist-controlled areas (especially the families of identified terrorists). Trump’s complete lack of historical knowledge, particularly on the historical ineffectiveness of repression in reducing popular opposition, threatens to escalate the terror war to an unprecedented level of violence and barbarity. Paul, meanwhile, recommends working with Assad’s regime in Syria, rather than against it, and argues that the last two decades of regime change (in Iraq, Egypt, Libya, and Syria) produced the very problems we face today. Fiorina (knowing as little about military policy as she does about public policy) prefers, in place of a strategy, simply “bring[ing] back the warrior class” of generals (citing specifically Generals Petraeus, McChrystal, Mattis, Keane, and Flynn). She counterfactually blames Obama for their “political” retirements, and ignores the reality of at least three of the five retirements (not to mention that generals who retired voluntarily, some like Petraeus with significant medical problems, may not wish to return to duty under an obvious strategic amateur with no political experience). Finally, Carson agrees with Trump’s proposal to target ISIS’s oil income capabilities, and to destroy “the caliphate” (without actually identifying what kind of campaign or results would be needed to achieve that). Carson is ready to commit US ground forces for yet another major war in the Middle East. However, following a commercial break, he also stated that the US cannot fix the problems in the Middle East with a “few little bombs, and a few declarations,” seemingly contradicting his own focus on a declaration of war as having some strategic significance. As the conversation turned to other security problems, the candidates’ language became frighteningly apocalyptic. Fiorina argued that the US should openly provoke Russia through an escalated crisis environment of increased military opposition to Russian movements and increased provocations near Russia’s borders. Christie similarly earned Paul’s designation of him as the “World War Three candidate,” for stating that he would shoot down Russian planes in a no-fly zone in Syria. Fiorina then expressed the incredible notion that to confront North Korea, we should first bully and provoke China; and then ask China for their help in containing Kim Jong-Un’s regime. Bush and Christie both also want to up the ante with China, at least in pursuing a more vigorous cyberwar against them. The GOP showed clearly a tug-of-war between Paul’s non-interventionism and the other candidates’ open wish for greater international tension and conflict (and their clear willingness to risk, or even fight, a global nuclear war in doing so). We cannot really blame the Republican candidates for answering the questions asked of them (sparingly as they did). No questions were asked about jobs or the economy; about infrastructure or education; or about climate change or social problems. There was only the briefest dialogue between Cruz and Rubio on immigration reform (each effectively criticizing the other for seeking to ease the path to citizenship for undocumented aliens), with Bush blaming immigration for increasing rates of heroin addiction. Rubio continues his war on fiscal conservatism by calling for more border controls, more laws and regulations, and more overall federal government. The issue fit into the context of CNN’s overall moderation of the “Fear and Anger” debate focusing on threats to the US. Of course, the GOP did not take (and the CNN did not ask) questions about increasing firearms safety and security in our communities, or about the security and safety of minorities in an overwhelmingly anti-minorities police culture and criminal detention system. This was mostly a white man’s “Fear and Anger” debate. Carson’s soporific mumblings, and Fiorina’s toneless obliviousness to her own irrelevance, helped to put a diversified face on the stage; and Cruz and Rubio were there to help bring Latino voters to the party. But the focus remained on WASP-oriented fear and anger. Furthermore, all the candidates demonstrated a simplistic, linear, zero-sum, nineteenth-century chess-game approach toward modern multidimensional and asymmetric warfare, and they showed their unpreparedness to lead in the twenty-first century wars that they wish to provoke, escalate, and fight. They also wish to alienate and provoke some of the key players in these fights (such as Russia, China, and Iran), players which have not yet aligned on the other side, and which have great motivations to fight collectively against our current enemies. The candidates proved to anyone watching that the GOP is able neither to protect our nation, nor to help the US participate constructively in the modern world.